Lisa Egeli paints the places we treasure. She is a third generation artist in a family of artists, and her formal training was at Chicago’s American Academy of Art. Lisa is an avid traveler and has painted and exhibited all over the world during her more than 20 year career.. 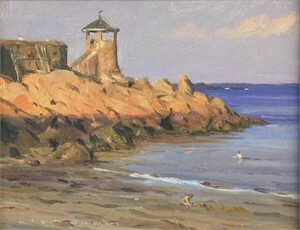 Her life as a painter, however, began long before, growing up a third generation artist in a family of artists, and learning her earliest skills from her father, prominent portrait painter Peter Egeli. His father, Bjorn Egeli, also had a distinguished career as a portrait painter, with Presidents and Justices among his subjects. Lisa's work has been recognized in a variety of national and international exhibitions and artist’s residencies. She was featured as one of “Today’s Masters” in Fine Art Connoisseur magazine. 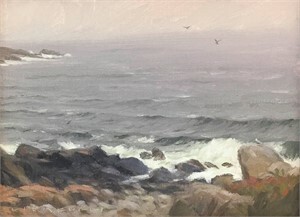 She is a Fellow of the American Society of Marine Artists and a Signature member of the Oil Painters of America, the Society of Animal Artists, and a member of the century-old Washington Society of Landscape Painters. 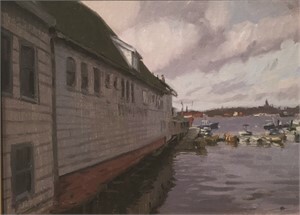 Lisa paints portraits and landscapes for a wide range of clients, working from her studio at home in southern Maryland. View Lisa Egeli's artwork on our marketplace. Lisa Egeli Paints the people and places we love. Lisa Egeli paints the places we treasure. She is a third generation artist in a family of artists, and her formal training was at Chicago’s American Academy of Art. Lisa is an avid traveler and has painted and exhibited all over the world during her more than 20 year career.. Her life as a painter, however, began long before, growing up a third generation artist in a family of artists, and learning her earliest skills from her father, prominent portrait painter Peter Egeli. His father, Bjorn Egeli, also had a distinguished career as a portrait painter, with Presidents and Justices among his subjects. Lisa's work has been recognized in a variety of national and international exhibitions and artist’s residencies. She was featured as one of “Today’s Masters” in Fine Art Connoisseur magazine. 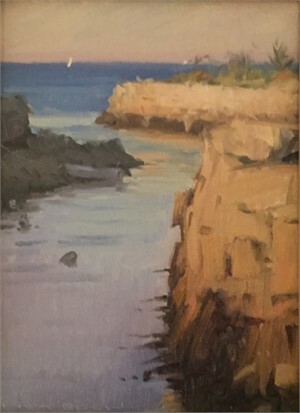 She is a Fellow of the American Society of Marine Artists and a Signature member of the Oil Painters of America, the Society of Animal Artists, and a member of the century-old Washington Society of Landscape Painters. 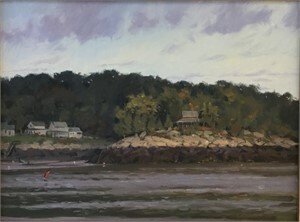 Lisa paints portraits and landscapes for a wide range of clients, working from her studio at home in southern Maryland. View Lisa Egeli's artwork on our marketplace.